It was a late December night when Jesse Robinson’s cell phone rang. Robinson is the Search and Rescue (SAR) and Warning Coordinator for the Arizona Department of Emergency and Military Affairs (DEMA). He answered the call from the Air Force Rescue Coordination Center (AFRCC) about a missing aircraft from Scottsdale airport. The AFRCC was able to ping the cell phones of the people on board to a remote area near Gila County. Around the same time, the airplane’s emergency locator beacon activation was detected and reported to AFRCC. The Civil Air Patrol was activated to track the signal of the beacon. Robinson reached out to the Gila County SAR Coordinator, whose team responded. “That mission is a great example of how different people and agencies come together at a moment’s notice without rehearsal to accomplish a common goal,” said Robinson, who could tell many stories like the one above. A request for assistance could come at any time, day or night and Robinson will be there to respond. Robinson started as a Deputy Sheriff and spent his career working in remote areas. He has been involved in SAR since 1992 in differing capacities and each of the approximately 600 missions he works every year is different. Robinson gets involved to assist with needed assets and incident management as well. He also oversees the fund that pays/reimburses the counties for their expenses that are incurred on SAR missions. 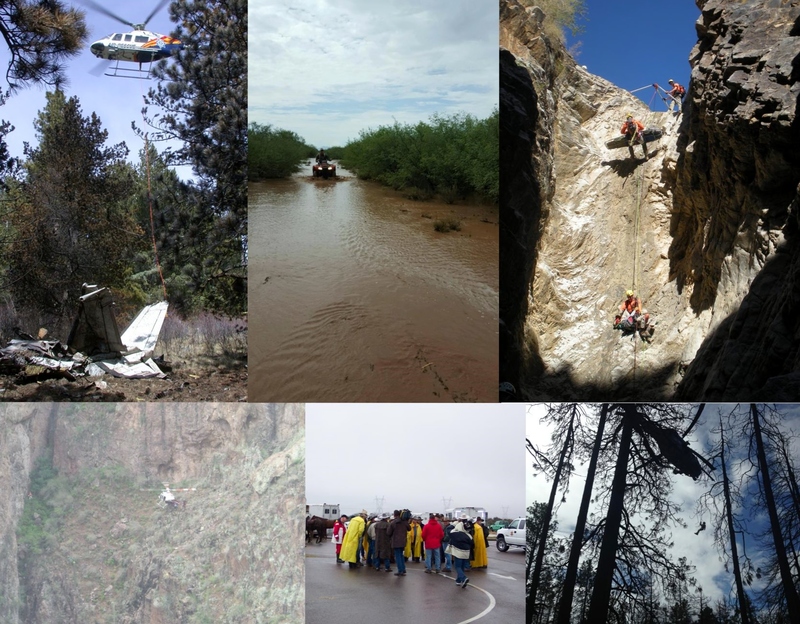 The missions take extensive agency support to be effective, from the Sheriff who is the responsible party for search and rescue in his or her county to the many federal and state partners, who support the county. Because many agencies are involved in the technical and sometimes emotional process, relationships are critical to the missions running smoothly. “Jesse eagerly helps all those in need with his vast knowledge and experience in SAR, and he is willing to answer his phone day or night to offer advice and resources on a mission,” said Deputy Christopher Pittmann, with the Maricopa County Sheriff’s Office SAR Unit. “Without the support of DEMA and Jesse Robinson, the sheriffs of Arizona would have an extremely difficult time bringing missions to a successful close." A lot of time is spent on training to ensure responder safety— from the local teams training together to the coordinators statewide getting together and more. SAR coordinators go through search management training and are part of an association that meets quarterly. They develop standards for training new coordinators and volunteers and hold Basic Search and Rescue academies. Every two years there is a statewide SAR Conference in a remote location to practice and learn new skills. The job of a SAR coordinator not only takes up a lot of time, it can be an emotionally draining job, but it is a job that Robinson is devoted to.